Disclaimer: Some may find the below written disturbing. Italics indicate lyrics of a cadence we used to sing while running in the morning. The rest is just my not-so-humble-opinion. put some fucker in your sights, send 'em to hell? 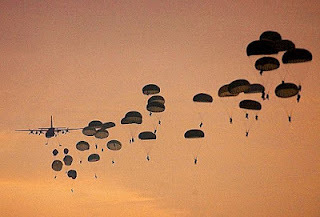 paratrooper - ranger who are we?